Tees Law are specialists in French law and have over 12 years’ experience helping our clients navigate the French legal system. Our dedicated team of experts can guide you through a range of issues including French property purchases and sales, inheritance and succession issues. Dealing with the French legal system can be stressful – but with our experts on hand to guide you, it doesn’t have to be.  At Tees Law, your peace of mind is our priority – we will explain the options available to you in plain language and our friendly team are just a phone call away if you have any questions. If you’re buying or selling a French property, we will provide you with a full explanation of the legal documents at each stage and a review of the statutory surveys. Our experts will work with the agents and Notaire in France to ensure that you purchase in confidence, and if you require changes or additions to the contracts we can negotiate this for you. We can also help extract you from a purchase if needed. Tees Law’s French law department is led by our resident Avocat, Hervé Blatry. Hervé is a member of the Paris Bar and registered with the Law Society as a European Lawyer. He is fully bi-lingual with extensive experience in French law. Whether you require a quick overview of French documents, help with a French purchase from start to finish, or assistance with troublesome matters in France, we can tailor our advice and assistance to meet your needs. We have a competitive pricing structure and can offer fixed fee, or pay-as-you-go options to suit you.